The minimum age to use most blogging platforms is 13. Younger kids can still blog, but you’ll have to set up the blog and assist. 13 is simply the minimum age for your kids to set up a blog of their own, on their own. There are many benefits to blogging for your kids, so let’s dive in to see how blogging can improve their life and yours, because I truly believe it can. Since this guide is so detailed and exhaustive, I suggest bookmarking it for future return. For easy navigation, I’ve included a table of contents. Blogging has it’s benefits, but since you’re here looking for information on how to start a blog for your child, I assume you already think there are plenty of benefits. Whether your objective is to help your child turn a blog into a business, or start a blog just for fun, this guide will show you how to do it. Start a self-hosted blog – Your kid will have their own domain name (.com), and their own web hosting (where the website is stored online). Start a hosted blog – Your kid will have a blog on a platform–similar to having a social media account with longer posts. This option is more restrictive, but less expensive (usually free). Their web address will be something like yourblog.bloggingplatform.com, instead of simply yourblog.com. I highly recommend going with the self-hosted option eventually, which is what we will discuss from this point forward. If you would prefer a hosted blog, simply go to WordPress.com or Blogger.com, and sign up — it will be like any other online platform that walks you through the process. Another option is KidzWorld, which may be the only blogging platform specifically for children, but your options are narrow. A self-hosted blog takes a little more work, but the payoff is worth it. There are thousands of web hosting companies, but I did the legwork to make the selection easy for you. I tested all of the most popular hosting companies, and found the one with the best customer service, the fastest loading speeds, and the most benefits overall. Who am I talking about? Siteground. I suggest starting with the “StartUp” plan. It’s the most affordable way for you kid to start blogging on a self-hosted platform, while not paying for services they won’t be using yet. This is an extremely important step. This is how people will find your kid’s blog. A free domain name (for the first year) is included on all of the hosting plans. After the first year, it will be around a dollar a month to keep it. When selecting your kid’s domain name, it needs to be relevant, and preferably less than 10 characters. Come up with a title for the blog, and see if that domain name is available first. If not, you can use a domain name generator, like Domain Wheel, based on the keywords for your child’s blog. The title and domain name don’t have to be the same, but they need to make sense together. Shorter domain names are better, according to research by Gaebler 2, a magazine for entrepreneurs. Six characters or less is ideal, though most of those are taken. It’s always best to try for a .com over other domain extensions, because people assume by default that your website has the .com extension 3. If there’s no good option available related to your kid’s website title, you can break the rule and go for a .net or .org (or one of the new extensions), but it’s best to stick with .com. Make sure the name is pronounceable 4. If the name can’t be easily said out loud, it will be tough for people to remember. Once you select a domain name, you will fill in your information and pay. Make sure your “free domain name” is still selected. “Privacy domain” and “Sg Site Scanner” aren’t necessary right now. You can always add these services later. Once you’ve paid, Siteground will walk you through the process of setting up your WordPress blog. Once you’re in WordPress, it’s time to set up the basics. This is the easy part. You get to choose how the website will look. I highly suggest using Elegant Themes, a collection of 80+ themes. Their Divi platform is my personal favorite, but once you sign up, you have access to all their themes for less than $8 a month (as of 2019). If you’re not ready to pay for a premium theme, there are plenty of free options to start with. Most of these have branding at the bottom that links to the theme developer, but that’s not a big deal when you’re just getting started. On the next page, click “Add New” at the top, and then click “Upload Theme” on the following page. Now you’ll see the screen below. Find your theme’s .zip and install it. After you click “Install Now,” activate the theme and the design will be applied. Now you’re ready to start working on the appearance of the theme. This is where you can make most of the visual changes, add your logo, edit the typography, and everything else your theme will allow you to do. 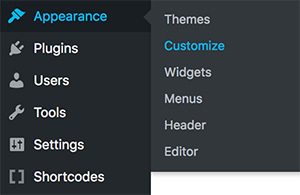 If you selected a free theme, you may have limited options here. If you went with Elegant Themes, you child will have all kinds of options to make the blog his own. 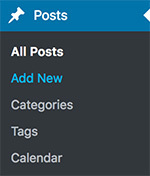 To create the first post, simply click on “Add New” under the “Posts” section of the left menu bar. This will take you to the editing screen. Fortunately, with WordPress 5.0, writing your post has never been easier. You child has so many options to make beautiful posts with ease. Play around with the different design settings, the featured image, the article title, and the interface, until your child is comfortable with it. That’s it! Your kid now has a fully functional WordPress blog. Sounds dangerous, right? Oh, they’ll be fine. What’s the worst that could happen? On a serious note, do make sure you’re monitoring them from here on out — we’ll cover this in more detail later. They have the ability to post things the entire world will see. Monitor that! Once your kid knows how to write a post, it’s time to get into the extras: plugins! A plugin is a tool that [theoretically] increases a blog’s quality. There are plugins that make things easier, add features, and do almost anything your child wishes. You don’t want to add too many, or it will slow the website down, but a handful of good plugins can genuinely help. First, here’s how to install them. In the left menu bar, hover over “Plugins,” and then click “Add New.” Similar to installing a theme, you will simply upload the plugin, activate it, and start using it. Within WordPress, you’ll find countless plugins, but there are even more outside of WordPress. You can customize most plugins under “Settings” in the left menu bar, while other plugins will fall under “Plugins,” ‘Tools,” or right there on the menu bar itself. Adsense Click-Fraud Monitoring – Monitors and prevents malicious clicks on Google Adsense ads. Affiliate Link Cloaking – Cloaks your affiliate links 5. It also tracks the hits and unique visitors of each link. Akismet – Used by millions, Akismet is quite possibly the best way in the world to protect your blog from spam. BackupBuddy – The most complete WordPress solution for Backup, Restoration, Migration, and Deployment. Backs up a customizable selection of files, settings, and content for a complete snapshot of your site. Restore, migrate, or deploy your site to a new host or new domain with complete ease-of-mind. Bloom – A simple, comprehensive and beautifully constructed email opt-in plugin built to help you quickly grow your mailing list. Clean My Archives – A plugin that displays a full archive of posts by month and year with the “clean-my-archives” shortcode. Better Click to Tweet – Add click-to-tweet boxes to your WordPress posts, easily. Google Analytics – This plugin makes it simple to add Google Analytics to your WordPress site, adding lots of features (e.g. error page, search result, and automatic outgoing links and download tracking). Growmap Anti Spambot – Very simple plugin that adds a client side generated checkbox to the comment form requesting that the user clicks it to prove they are not a spammer. Bots wont see it so their spam comment will be discarded. Monarch – An extremely versatile and comprehensive social media plugin with many different options and ways to display social media share buttons. P3 (Plugin Performance Profiler) – Shows which plugins are slowing down your site. Create a profile of your WordPress site’s plugins’ performance by measuring their impact on your site’s load time. Pre-Publish Post Checklist – With Pre-Publish Post Checklist, you’ll never have to worry about accidentally publishing a post without an important piece. Pro Categories Widget – You have the choice to exclude specific categories. Q2W3 Fixed Widget – Fixes/freezes positioning of the selected widgets, when the page is scrolled down. Quick Adsense – Offers a quicker & flexible way to insert Google Adsense or any Ads code into a blog post. Revive Old Posts – WordPress plugin that helps you to keeps your old posts alive by sharing them and driving more traffic to them from Twitter, Facebook, or LinkedIn. It also helps you to promote your content. You can set time and number of posts to share to drive more traffic. RSS Image Feed – RSS Image Feed is not literally producing a feed of images but it adds the first image of the post to the normal feeds of your blog. Those images display even if you have the summary in the feed and not the content. S3 Media Storage – Store media library contents onto Amazon’s S3 hosting directly without the need for temporarily storing files on the filesystem/cron jobs. This is more ideal for multiple web server environments. If you don’t know what any of that means, skip this one. Shortcodes Ultimate – Supercharge your WordPress theme with a mega pack of shortcodes. This may be my personal favorite on this list, and your kid will love it too! Sumo – Many free tools to grow your email list. Editorial Calendar – The Editorial Calendar makes it possible to see all your posts and drag and drop them to manage your blog. Highly recommended! WP Review – Create reviews! Choose from stars, percentages or points for review scores. Supports Retina Display, WPMU and Unlimited Color Schemes. WP Super Cache – Very fast caching plugin for WordPress. My caching plugin of choice. WP Optimize – This plugin helps you to keep your database clean by removing post revisions and spams in a blaze. Additionally it allows you to run optimize command on your WordPress core tables (use with caution). WP PageNavi – Adds a more advanced and elegant paging navigation to your WordPress blog. Yoast SEO – The first true all-in-one SEO solution for WordPress, including on-page content analysis, XML sitemaps and much more. Definitely recommended for anyone trying to grow their blog’s traffic. There are too many good plugins to list all of them. If you can think of a need, there is likely a plugin to fill that need. The first—and most important—point about using images is to understand copyrights. Your child can’t just go find any image on Google (it’s also not the best idea for a child to use Google for the search), and use it on his own blog. There are laws about that. When you write something or publish an image online, there is an automatic copyright that comes with it, since copyright is really just the ability to prove that you did it first. If someone else is the first to publish a certain image, they own the copyright and they have multiple rights associated with it 6. That being said, you also have fair use and free use — which are not one in the same. Fair use is the legal exception to the copyright laws mentioned above. As you can see—if you expanded the content above—fair use doesn’t give you or your child the right to use just any image from any website for your personal blog. But it does give you the right to use some images for specific purposes. Attribution – You may use the work (i.e. the image) as long as you provide attribution to the creator, a link to the Creative Commons license, and indicate if any changes were made to the work. No Restrictions – While it’s always polite to link to the original source, this type of restriction (or lack there of) allows you to do anything you want with the photos. Those are the two types of images I use. I have no problem giving attribution, and I really enjoy the images that don’t even require that much. Unsplash – My personal favorite. They have all kinds of high quality images with insane resolution. Most of these images are 4000px and higher. Gratisography – Another favorite. They also provide high quality, high resolution images, but with a twist. Most of the images are super unique, and many are pretty funny. Your child will love these images. Pik Wizard – High quality and high resolution photos. Jeshoots – Another great source. I’ve included many more sources below. These sources are typically safe to use, unless your child is specifically searching out inappropriate themes. Please note that while I did make sure these sources didn’t include adult content, that doesn’t mean every image is suitable for any child. There are some scantily clad men and women on some of these photo search engines, so be sure to monitor what your child is looking at. If your goal is to gain an audience, or to monetize your child’s blog eventually, you’ll want to know how to drive traffic to the blog. While this isn’t as easy as it used to be, the main difference is that now it requires a lot more work (or money). Search Engine – When someone searches for a specific term or phrase, your website may come up as an option. If you want to rank higher in the search engines, you’ll need to learn a little bit about Search Engine Optimization (SEO) and how Google ranks websites, but blogging is not all about adding a bunch of keywords to your blogs and writing for robots — keywords will naturally flow in your articles. Referrals – When someone sees a link to your child’s blog in an article or on a blogroll 8 and clicks on it, you just received referral traffic. This is some of the most valuable traffic you can get, and it’s relatively easy to get this once you start working on your writing skills. Social Media – When someone sees your article on Facebook or Twitter and clicks on it, you just got social media traffic. There are hundreds of places like that to share your content. This is a great source for traffic; however, you really don’t want to count on it as a primary traffic source, because social media websites and algorithms change almost everyday. There are also plenty of tools to automate part of this process. Direct Traffic – When someone types your blog URL into their browser, the are going directly to your website. Hence the name: direct traffic. This could be from word-of-mouth advertising or a random business card, but this also includes someone clicking a link in an email, like your newsletter. The main way to get traffic is to grow your blog’s authority. To do this, your child needs to build high-quality backlinks. A “backlink” is a link that directs back to your website. The “anchor text” is the text that points to the link. So let’s say I want to link Google — in that example, “Google” is the anchor text, and “https://google.com” is the link. It’s best when your anchor text is either your brand or relevant keywords. For Example: if your child’s blog is about science, the anchor text should either be the title of your kid’s blog (or the title of the article linked), or some related keywords like “kid’s science blog” or “kids learn science.” The more specific the keyword, the quicker you will increase your traffic. You wouldn’t want to try to rank on Google for a word like “science” since that’s so broad, but ranking high for a phrase like “children’s science blog” would be much easier. Guest posting is, in my opinion, the best and most authentic way to drive traffic to your child’s blog. It’s a lot of work. It requires writing article after article to be published on someone else’s blog. But in the end, when the work is put in, it will pay off. If you’ve done any research on guest posting, you may have heard that Matt Cutts, former head of Google’s webspam team, said guest posting is dead 9. What he meant, when he said this back in 2014, was: posting low quality guest posts and “spinning” articles 10 is dead. Honestly, that method has never been alive, though it may have shown results in the beginning. According to multiple authorities 11 12 13 14, guest blogging is not dead at all. In fact, it’s still a vital part of growing your audience. How do you start guest blogging? Starting is easy. It’s the “keeping going” part that’s hard. You can help your kid with this part, because it does involve reaching out to others. You can try to find other child bloggers first, which may be best. Find other blogs in the same category as your child’s blog, and start reaching out. Search Google for lists by searching things like “[insert category] blogs that accept guest posts” — many of these lists will have direct links to the page to submit your guest post request. If it were easy to drive thousands of viewers to your website, there wouldn’t be so many guides that teach you how to do it. It’s not easy, but it can be fun and it’s worth it. I’m not going to spend hours teaching you all of the ways for your child to get traffic, but I did spend hours finding the best resources that do. These are some long reads, but well worth it. After you’re finished, you can practically consider yourself an expert, because you’ll be ahead of the vast majority. Then you have to explain it to the one actually doing the blogging: your child. Or just help them through the process, which is what I suggest. You guys will learn how to get traffic through resources like the ones above, and more so through experience. What’s even more important than getting readers is what you’re directed those readers to. Let’s talk writing skills! Hopefully blogging will make your kid want to pay attention in English class. But of course, blog writing and classroom writing differ in many ways. Blogging should be conversational. If we could easily communicate our ideas conversationally, we wouldn’t need help with writing. But it only comes naturally for some. It’s best for your child to use the beginning days, weeks, months, and possibly years of blogging to practice his writing. That’s a benefit of having a small audience: less judgement! I can’t stress this enough: if your child goes into blogging with the sole intent to make money, she will be disappointed. Not only does it take a while before any money starts showing up, but money isn’t the best motivator to stick with something so laboring as blogging (or writing in general, really). Ads are typically the first thing people think of when it comes to making money with a blog. Any time I mention blogging, people assume I make money with ads, though I don’t run ads here at Freedom Sprout. I personally think the return isn’t worth it. You need a huge amount of daily visitors to make ads really profitable. If you’re interested in trying it out, I suggest Google AdSense or Media.net. I prefer affiliate marketing over ads any day. Affiliates are similar to ads, but you only link specific products or services that you want to link. I use FlexOffers and CJ Affiliate primarily. You get a small commission each time someone clicks through your link and buys the product or service. Creating a product or a service is hard work, but it can provide passive income once created. Of course, the first step to selling anything is to grow your audience, so a product or service would likely be something you do later on. Our finance course is a good example of this. If you want to regularly produce exclusive content through a membership website, or a subscription, this is an option for you. I’ve seen it work for several bloggers, but they typically only charge a few dollars a month. I’ve seen more websites leave this model than any other model, and I couldn’t tell you why — it may not be as profitable as people assume it will be. A sponsored post is when you publish an article that you get paid for. Perhaps a mattress company sponsors an article titled, 10 Ways to Get Better Sleep, and they link to their brand within the article. If you do this, you must disclose that it was a paid post, per Google’s policy. And don’t forget writing! One of the primary ways many bloggers make money is by writing for other websites, but I didn’t want to give this its own section, because it’s not really making money with your blog. FundsforWriters – FundsforWriters pays $50 for each accepted post. They are looking for articles about writing and making money with it. They only accept articles between 500-600 words, but they want you to make each word count. Uxbooth – Uxbooth pays $100 for each accepted post. They take four to eight weeks to accept and post articles, so don’t count on this being a quick money maker. They take so long, because they pair with editors to only publish the best content. iWriter – iWriter pays up to $15 for each accepted post. That may seem small, but they aren’t as strict as many of the others above and they allow you to pick exactly what you write – as many or as few articles as you want. Textbroker – Textbroker pays up to five cents per word, if you’re a 5-star writer. 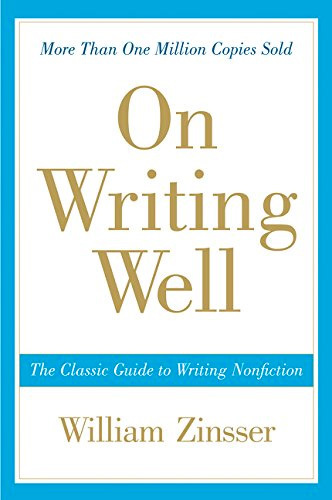 You’ll start by submitting a short sample article and you will most likely start as a 3-star writer, but you can work your way up by writing more and writing great content. Listverse – Listverse pays $100 for each accepted post. The article must be a list, it must be at least 1,500 words and you must include at least 10 things. Other than that, you can get pretty creative with it. TopTenz – TopTenz pays $50 for each accepted post. Again, the article has to be in a list format and it must be at least 1,500 words, with few exceptions. A List Apart – A List Apart pays $200 for each accepted post. They’re not first on the list, because they tend to publish less articles, which means you have a smaller chance of getting accepted, but they pay well. International Living – International Living pays $75 for each accepted post. They are mostly looking for travel experiences from countries you have visited. Matador Network – Matador Network pays up to $60 for each accepted post, but standard pay is around $20-$25. They don’t really focus on a minimum word count, but they have a maximum count of 1,500 words. The Penny Hoarder – The Penny Hoarder pays up to $800 (rarely), depending upon the number of page views you receive. The pay starts at $100 for 50,000 page views, so this isn’t a guaranteed paid article, but it can potentially be highly rewarding. Whether on YouTube or your personal blog, videos are still an effective tool to earn money. Though they aren’t as profitable as they used to be, videos should still be considered. You can get paid on YouTube for ads, or you can simply drive traffic to your website through the videos. The most important thing to remember when your kid starts blogging is internet safety. And then when it comes to blogging, there are ethics and legal matters to address. Cyberbullying is a real thing, and the blogging world is far from immune to it. Your child needs to be transparent with her blogging, and keep you informed. Keep your privacy settings as high as possible. Never give out your passwords. Don’t befriend people you don’t know. Don’t meet up with people you’ve met online. Speak to your parent or carer about people suggesting you do. Remember that not everyone online is who they say they are. Think carefully about what you say before you post something online. Respect other people’s views, even if you don’t agree with someone else’s views doesn’t mean you need to be rude. Go over those points with your child to make sure they understand the dangers of the internet, and most importantly, how to stay safe online. This is where your child would explain that he is not a professional (unless, of course, he is). It’s important to protect yourself, because once your child gets going, he’ll have a lot of content on his blog. Some of it may even be from other authors, and you don’t want to be held responsible. People understand that reading blogs is a good way to get information, and most people accept the fact that bloggers aren’t certified experts, but cover your child legally with a disclaimer. View mine here; it’s part of my Terms and Conditions. This is exactly what it sounds like: a disclosure of any affiliate partnerships. If your child doesn’t have affiliate partners, don’t worry about this part, but it’s vital if she has affiliates. You are required by law to have an FTC Affiliate Disclosure if you have any affiliates on your website. Always play it safe and make sure your child has all the disclosures she needs. Be honest and transparent with people — that’s the only way to have continued success. If the blog involves anything legally, do your research and get the proper disclosures. For example, since I am not a certified financial expert, like a CPA or a CFP, I have to include that in my disclaimer. Copyrighting is protecting your child’s content — their words. Technically, it’s just the process of being able to prove who wrote something first. Once your child publishes a blog, it’s copyrighted to an extent, but if you’re concerned about other people stealing the work, get a professional copyright. Usually you won’t have to go the legal route, because it’s not that big of a deal if people do steal your blog content, and most people give credit where credit is due. Zen Habits is an example of a blog that gives permission to everyone to do what they will with the author’s content. That’s another option, and I don’t see anything wrong with it, unless you’re paranoid. 6,000 words later, I feel like I’ve covered everything you need to know to at least get your child started in the blogging realm. I highly encourage you to help your kid with this. I think it will be something they can use for the rest of their life. Go back through the table of contents to review the things you’re still blurry on. And don’t forget to save this guide for future reference. Do you have blogging experience? Would you let you child start a blog? If your child wants to blog, what’s his/her topic of choice? Dean, B. (2018, May 16). Google's 200 Ranking Factors. Backlinko. Gaebler Staff. (2010). Does Domain Length Matter? Gaebler.com. Karol K. (2018, November 18). 22 Essential Tips for Choosing the Best Possible Domain Name for a Website. WinningWP. Fishkin, R. (2016, July 15). How to Choose a Domain Name. MOZ. U.S. Copyright Office. 17 USC Section 106. Copyright.gov. Creative Commons. Attribution 4.0 International. CreativeCommons.org. A blogroll is a list of other blogs and links to them. Cutts, M. (2014, January 20). The decay and fall of guest blogging for SEO. Matt Cutts Blog. Article Spinning is the process of taking one article and rewording it slightly to repost it on many different blogs. Risley, D. (2014). Matt Cutts Says Guest Posting is Dead. Is He Right? Blog Marketing Academy. Morrow, J. (2018, November 13). Google Says Guest Blogging is Dead. Is it True? SmartBlogger. Rampton, J. (2017, February 6). Guest Blogging for SEO is Dead… Or is it? Forbes. McGee, M. (2014, January 20). Matt Cutts: “Stick a Fork in It, Guest Blogging is Done”. Search Engine Land. Safety Net Kids Staff. (2014). Staying Safe Online. Safety Net Kids. Dean, B. (2018, May 16). Google’s 200 Ranking Factors. Backlinko. In one email per week, you’ll get the latest in reaching financial freedom, raising money-smart kids, and spending money God’s way. Kalen is the founder of Freedom Sprout. He helps parents raise money-smart kids. As a father of five, he believes children need financial literacy now to avoid financial struggles later. He’s written over 1500 articles, which have been featured all over the web, on outlets such as: Yahoo Finance, CNN Money, The Penny Hoarder, and WiseBread. Get Notified When the Course Launches! Subscribe to get updates when we publish a new article and when the course is launched.